In 2010, after seven years of proving the success of an appropriated annual film encouragement program, a coalition of Florida film and entertainment industry associations, led by Film Florida and the Latin Chamber of Commerce of the United States, CAMACOL, under the MMFM program, worked with the Governor and the Florida Legislature to pass the largest program and first tax credit created to entice film and entertainment production to the state of Florida. The $242M Florida Film and Entertainment Industry Financial Incentive provided consistent and reliable funding for a period of five years, leading to over $1.5B in new Florida production expenditures and wages, and provided 20 to 1 return on investment when factoring in film induced tourism, according to studies conducted by Florida’s tourism bureau, Visit Florida. We are currently working hand-in-hand with our partners and stakeholders to move this industry forward. Pattie has been involved in public service for more than 30 years and has developed programs and initiatives on a local, national and international level. In 2008, she founded the Miami Media and Film Market and currently serves as its Chief Executive. Among some honors and distinctions, Ms. Arias was named International Business Woman of the Year by the World Trade Center/Miami, was presented with the prestigious Governor’s Business Ambassador Medal for the State of Florida, served on the host committee of the first three Miami International Film Festivals, and currently serves as a member of the international jury for the “Premios Platinos” which honors Ibero-American Cinema. Pattie is also a member of Miami Dade College’s School of Entertainment & Design Technology Advisory Board. Pattie began her career in the film and tv industry working in front and behind the camera on various shows and films including the iconic series, “Que Pasa, USA?”. She has been a staunch advocate for the industry and is committed to the development of projects that directly benefit her community and State. She attended Miami Dade College and the University of Miami. Her hobbies include speaking, chatting, talking, and conversing. She is fluent in Spanish, French, and Italian with a working knowledge of German. She dedicates her work on MMFM to her late father, Jorge Jimenez-Rojo who was a prominent industry maverick. 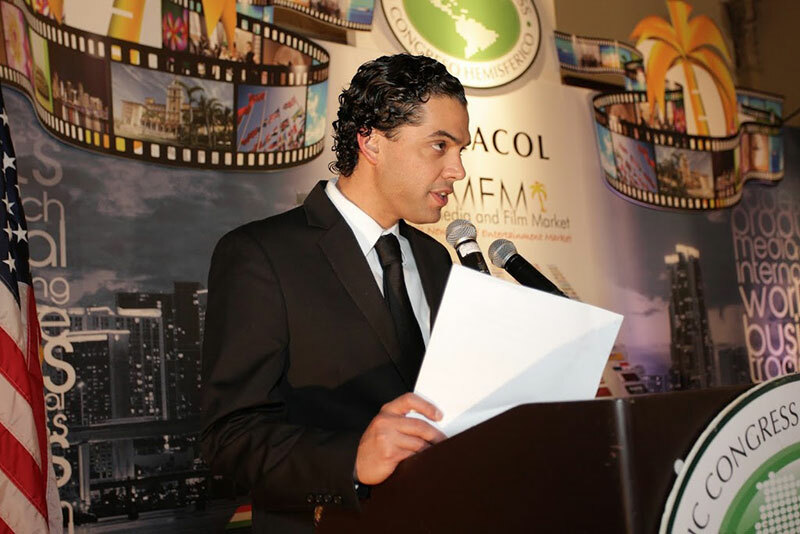 Jose Luis "JL" Martinez is co-founder and creative director of the Miami Media and Film Market (MMFM), and president of Lucky Seventeen Entertainment, an entertainment consulting and production company. With Hialeah Park Studios, JL is working with the team at Historic Hialeah Park to create a working backlot and production hub at the 200 acre venue. JL began as a talent agent in Miami Beach. In Los Angeles, he worked at ICM Partners, one of the top global talent agencies in Hollywood. BAck in the 305, JL joined the Miami Film Festival (MFF) to help execute its 25th anniversary; an eleven-day event featuring world premieres and A-lister’s. He would later be creative director of the Miami World Cinema Center (MWCC), the first nonprofit film studio, where JL developed emerging filmmakers while producing several independent projects. He went on to direct Communications for the Foundation for Human Rights in Cuba (FHRC), launching Connect Cuba, a campaign to advocate for open internet and human rights awareness. JL recently executive produced hours of award winning children and family content for a new streaming platform. JL is a graduate of the University of Miami, majoring in Motion Pictures and Theater Arts. Sandy Lighterman is the Film and Entertainment Commissioner for Miami-Dade County. Under her purview is County’s Office of Film & Entertainment. Ms. Lighterman is responsible for the growth and development of the Billion Dollar film, television, music, digital media, commercial advertising and still photography industry in Miami-Dade County. 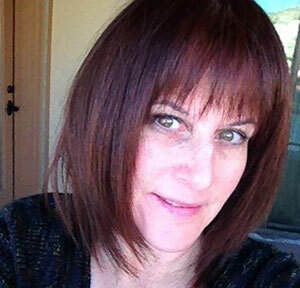 She oversees office’s staff in providing location and logistic assistance, government liaison, municipalities’ liaison, production information and referral sources to the entertainment production industry. Ms. Lighterman is the Chief advocate for entertainment production for Miami-Dade County. 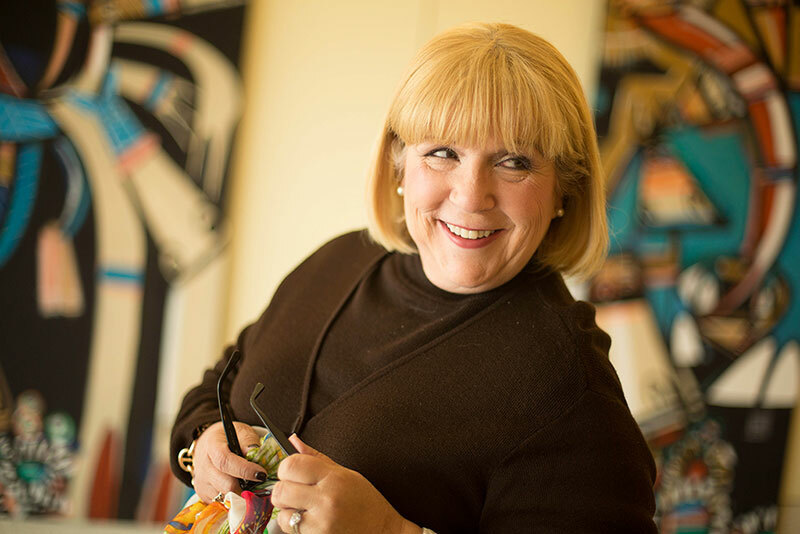 Ms. Lighterman serves as an advisor to the Miami Dade College School of Entertainment and Design Technology and is the Chairman of their Advisory Board. Ms. Lighterman serves on the Advisory Boards for Miami Media and Film Market, Miami Film Development Project, Florida International University School of Journalism and the PBS Film-maker program. Additionally, Ms. Lighterman has been the Legislative lead for the State-wide non-profit organization, Film Florida and for Miami-Dade when dealing with statewide policy that affects the film and entertainment industry in the County. Sandy Lighterman joined the Miami-Dade County Office of Film & Entertainment in 2008, enjoying a successful 25+ year career as a film and Television producer. Ms. Lighterman brings a wealth of industry experience to her position from producing 200+ music videos and TV commercials, as well as, television series and independent films. In 2007, she retired from her production career in order to stay closer to home and her children. Ms. Lighterman holds a bachelor's degree in Mass communications from the University of Miami.